Dr. Marc C. Anders has been providing chiropractic care to the students of the University of Central Florida since February 2004. As the interest in chiropractic care widened among students, and the number of patient visits increased, Dr. Anders decided to move his practice closer. In April 2005, Anders Chiropractic and Sports Performance, LLC was formed. The office allows convenience and high quality care to local neighbors and nearby students in the UCF area. Dr. Anders has lived in Florida for over 25 years, and has been a local to Central Florida since 1991. He is an alumnus of the University of Central Florida (Class of 1996) with a Bachelors Degree in Biology. Dr. Anders earned his chiropractic degree from Palmer College of Chiropractic in Davenport, Iowa in October 2001. Palmer College is The Fountainhead of the profession, a century-old school that founded the profession and continues to lead it. Dr. Anders continues his education through lectures and conventions to also ensure the best care for his patients. Dr. Anders strongly believes that everyone should be able to live his or her lives to their fullest potential. Many patients believe that they have become closer to this “state of well-being” from included chiropractic care in their lifestyle. He has taken the belief to other countries including Jamaica and Brazil. Dr. Anders visited Manuas, Brazil in the “Heart of the Amazon” with 13 other colleagues, and together they treated over 1300 locals. In Jamaica, Dr. Anders helped to register 19 Doctors of Chiropractic with the Ministry of Health, and therefore helped the country officially recognize the profession. Dr. Anders is a member of the Palmer Alumni Association, Palmer President's Club, The American Chiropractic Association, The American Chiropractic Board of Sports Physicians and The Florida Chiropractic Association. Dr. Anders completed his certification as a Certified Strength and Conditioning Specialist (CSCS) in 2009, and is a current member of the National Strength and Conditioning Association. He is also a CGFI (Certified Golf Fitness Instructor) through the Titleist Performance Institute as a Level 1 TPI Certified Provider. Active Release Techniques (A.R.T.) www.activerelease.com is the "Gold Standard" in soft tissue treatment. Dr. Anders has held Full-Body and Master's Level certificates since 2007. In 2010, Dr. Anders competed his postgraduate study and clinical work in the care and treatment of athletic injuries and management of physical fitness as a Certified Chiropractic Sports Physician (CCSP). The CCSP is a Board Certification governed by the American Chiropractic Board of Sports Physicians. A Certified Sports Chiropractor will focus on total body wellness and reaching optimal functioning, not just reducing pain. This is obtained by offering individualized care that extends beyond spinal adjustment to include direct treatment of muscles, joints and connective tissues. Just as you continue to improve your lives and knowledge, Dr. Anders works hard every day to enhance his skills and knowledge to provide you the best treatment. With sports injuries continuing to evolve and the protocols always changing, it is very important to stay the most updated. Dr. Anders has worked over the past three years to complete his latest achievement. 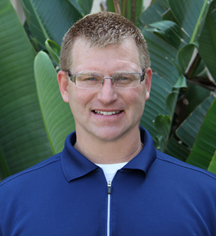 Dr. Anders achieved his Diplomate of American Chiropractic Board of Sports Physicians status on April 2014. The governing body ABCSP promotes the highest standards of excellence and clinical competence for chiropractors specializing in sports medicine and physical fitness. The DACBSP certification requires the doctor to first achieve CCSP certification. The doctor must attend an additional minimum of 200 class hours. Doctors wishing to achieve DACBSP status then have four basic components they must successfully complete within 3 years of completing the DACBSP Program; 1) Written Exam, 2) Practical Exam, 3) Practical Experience Hours, and 4) Written Project. The approximate number currently for chiropractors holding the DACBSP status is 320 worldwide and approximately 16 chiropractors in the State of Florida hold the DACBSP status. This is a great accomplishment and recognized within the professional and Olympic sporting organizations.